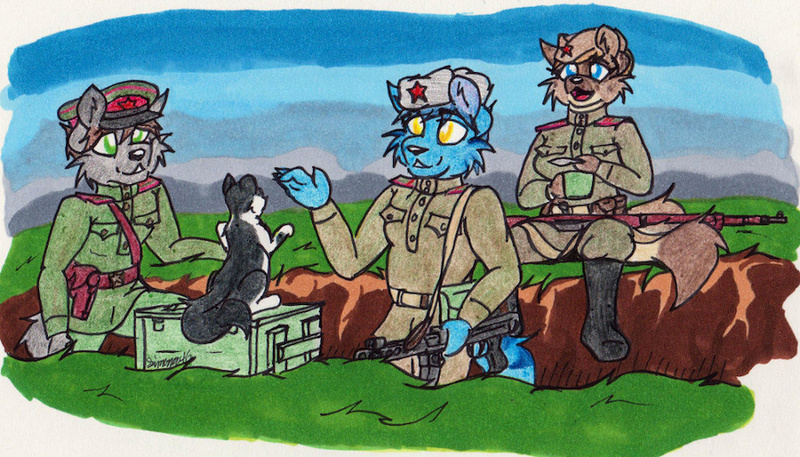 Even on the Eastern Front come moments of peace and relaxation. And sometimes that means playing with a friendly cat. A completed YCH featuring the characters of surturthewolflord, Deikan, and monstercatPBB on FA.